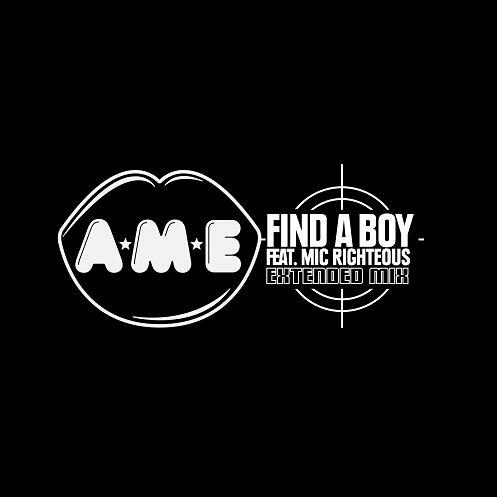 A*M*E is back with FIND A BOY. Already setting up to be a certified summer hit, FIND A BOY was produced by UK hit maker Naughty Boy, who also co-wrote the track with A*M*E and Emeli Sande. Fans of A*M*E’s previous work (City Lights and Ride or Die) will notice that FIND A BOY, with it’s dark pumping bass line, reveals a more mature sound for the 17 year – old with acclaimed newcomer, Mic Righteous’ guest feature and intense flow bringing a new dynamic to her ever evolving sound. Since being played twice in a row by Mistajam (“so nice I’m going to play it twice”), the track has spread across the blogosphere adding to the 250,000 plus YouTube hits A*M*E has been racking up with her viral videos. Travelling from war-torn Sierra Leone at the age of eight, A*M*E grew up in South London and having finished school just last year she has been hard at work writing, recording and performing but it doesn’t stop there. A*M*E (aka Amy Kabba) has also been busy creating her own fanzine, called (coincidentally enough) The A*M*E. Halfway between Just 17 and SuperSuper the magazine is all about A*M*E’s take on the world and her love of fashion, music, the 90’s and everything in between and with the first issue a resounding success, the second is out now so pick up your copy road side or take a look HERE. This summer is hotting up for A*M*E who will be playing dates with the likes of JLS, The Wanted, Rizzle Kicks, Oly Murs, Nandos Gignics as well as her own dates across London and the UK. ‘FIND A BOY’ WILL BE RELEASED ON FUTURE/UNIVERSAL ON JULY 30TH, 2012.